I wish I could say it was or even felt like fall here, but…it is Hawaii after all. The temps here are still hovering in the high 80’s during the day. I am not letting that stop me from baking though. It does make me think it over a bit but I get so much joy from baking and when I can’t for one reason or another, it stinks. Let’s talk apple pie. It’s classic. It’s classy. It’s simple. It is the all American dessert. Around here apple pie has been breakfast, lunch and dinner at one time or another. 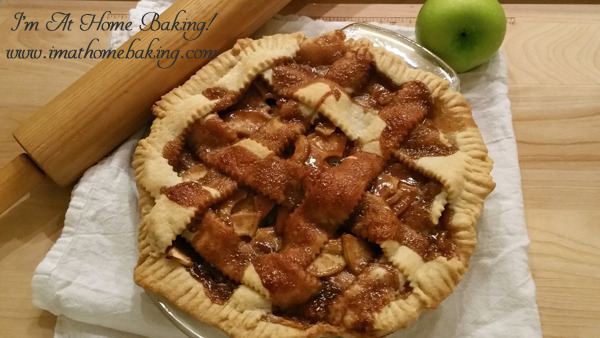 Do you have a favorite or go-to apple pie recipe? I did, a recipe my mother always used. It is good and pretty much comes out the same all the time, is easy and safe. I never had the desire to search for a better or maybe even perfect apple pie, till recently. I am so happy I did too. In the last few weeks I’ve already made it several times and it is seriously delicious. Very easy to make. For me, the most difficult part was conquering the lattice top on the pie. I think I’ve got it down now! 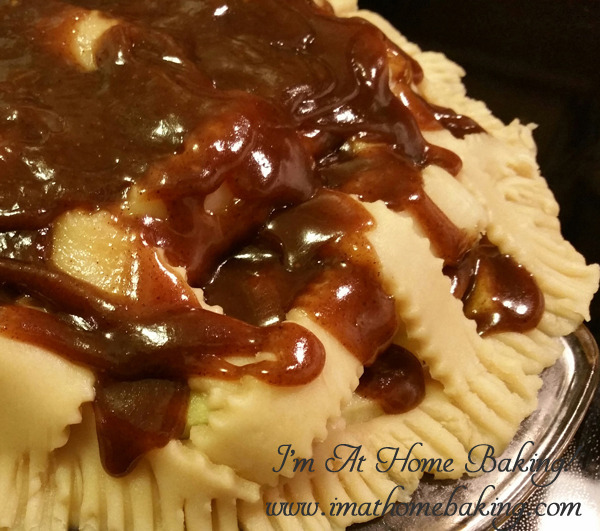 There is a reason this apple pie is famous and has thousands of positive reviews. Make it, and you too will understand why and you will want to make it often. Preheat oven to 425 degrees. Melt the butter in a saucepan. Stir in flour to form a paste. Add water, white sugar, brown sugar, cinnamon, nutmeg and vanilla extract, and bring to a boil. Reduce temperature and let simmer for 3-5 minutes. Place the bottom crust in your pie plate. Fill with apples, mounded slightly. 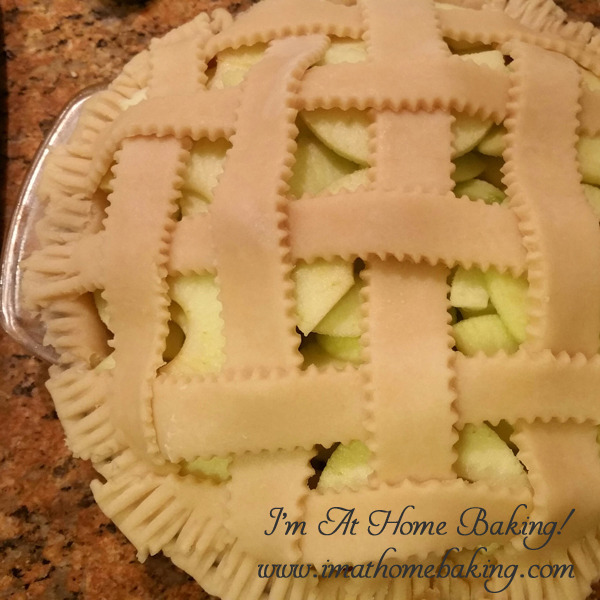 Cover with a lattice crust. Gently pour the sugar and butter liquid over the crust. Pour slowly so that it does not run off. I found that it is easier of I pour the mixture into a large glass measuring cup, or anything with a nice little spout in which to pour from. Bake for 15 minutes on 425. Then reduce the temperature to 350 degrees. Continue baking for 35 to 45 minutes, until apples are soft. The reason you are removing 1 tablespoon of water from the ¼ cup of water, is because you are adding a full tablespoon of vanilla extract, to keep the balance of liquid in the recipe.